It's time! You have grown out of your home, simply found another or had a life experience or job change that necessitates making another move. You remember what it was like buying your home. 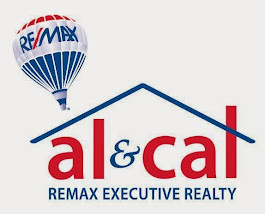 The excitement of picking out houses with your Realtor, driving to each and everyone, dissecting the neighborhood, the structure, utility and decor of each home until finally finding the dream home. Now the shoe is on the other foot. These 10 Tips for Selling Your Home will help you drill down and focus on how to get the job done with the least amount of stress. Tip #1. Price it Right. Many folks think that they will price it high and give themselves negotiating room, or feel that they can always come down, but not go up on their price. While those two strategies seem to make sense, they don't take into consideration that the first couple of weeks are when you will get the most exposure. The more buyers looking at your home means higher demand and more money. How to price your home right is pretty simple. Have your Realtor evaluate the market by doing a comparative study. Go over the study with your Realtor, discuss the pros and cons of the comparable sales and offerings and come up with a price based on these facts. Be honest in the evaluation of your home. Many times home sellers will think their home is superior or inferior to others because they are not stepping back enabling themselves to look at the comparable properties realistically. Granted this is not easy to do, but it is imperative. Tip#2. Price it Strategically. Most home buyers these days are searching on line. What does that mean to you as a home seller? People tend to search in ranges. For example. From $275,000- $300,000 or from $500,000 to $550,000. Say you thought the search range that your home would fall in would be $325,000-$350,000, pricing your home at $355,000 would price you out of your "strategic" range. Putting you in the bottom of another. Discuss strategy with your Realtor. Keep in mind these ranges and how folks will be searching for your home on line. Tip#3. Attack the "To Do List" prior to Listing. Service the furnace and have all the mechanicals in good condition. Kill the drips and replace the lights bulbs that haven't been working for some time. I know it seems silly, but we all live with things that need to be changed and never get around to them. Do it before listing or plan on leaving money on the table. Tip#4. Stage your property. Let's face it. These big home builders have a furnished "model home" for a reason. Since the debut of HGTV, real estate has changed. Buyers want.. no.. expect more from a home seller. Staged properties sell faster. Staging your home is a great idea. In fact, you might consider hiring a Realtor that provides you this service. Tip#5. Clean properties sell. When a buyer is looking at a pristine property, there are two things that happen. 1. They focus on the home not the clutter. 2. They feel that the mechanicals and structure of the home has been maintained. Tip#6. Choose the right Realtor. (This probably should be Tip #1.) Choosing the right Realtor will help you with the other tips. Experience counts. The way they promote your home counts. Being relative. (in relation to trends and the market counts not family ties) Experience without relativity is useless. Tip #7. Remember that it is a Business Transaction. Try your best to keep your emotions in check. Tip #8. Trust your Realtor. If you did a good job with tip #6, interviewed and found the right Realtor, then this tip is the easy one! Your Realtor has a fiduciary duty to you. She/he will be guiding you in the right direction. Tip #9. Be Open to Change. Listen to the feedback and make changes if needed. Tip #10. Expect to be put out. Make it easy for buyers to view your property. Leave when a showing is scheduled. This allows the buyers to linger and mentally move themselves in. How's the real estate market doing in Bellingham? This past year, home prices have risen approximately 10% compared to the previous year. 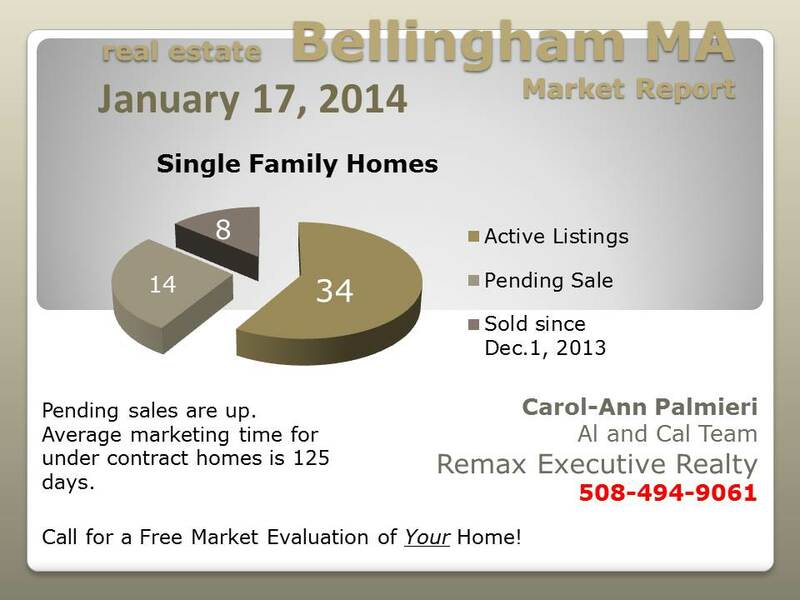 Bellingham MA Real Estate Market as of January 17 2014 has 34 single family properties listed for sale. The average price per square foot is $148. Average listing price is $331,803 with those properties being on the market an average of 183 days. 6 of these homes are requiring "short sale" approval. Pending sales were on the market an average of 125 days, with an average $160 price per square foot. Average list price $328,369. 8 single family homes sold since December 1, 2013 with an average sales price of $250,175 and price per square foot $142. Average days on the market for those properties was 43.